Korea Natural Foods Co., Ltd.
Dae Yang Chook San Inc.
Hanil Ginseng Industry Co., Ltd.
Nuri Fishery Association Co., Ltd.
Daehan New Pharm Co., Ltd.
Poong Kuk Food Co., Ltd.
HASUNJUNG GENERAL FOOD CO., LTD.
About 1,500 South Korea companies’ information has been registered in the Agriculture & Food category of Kompass worldwide database. Among those above, this sector is all about Food business which represents large activity contents within our database. You can get not only company’s summary information but detailed info such as contacts, products, catalogues, etc of Food industries you are looking for. ﻿Search effectively Food firms skilled in sector using the Kompass worldwide data base and its targeting tools. 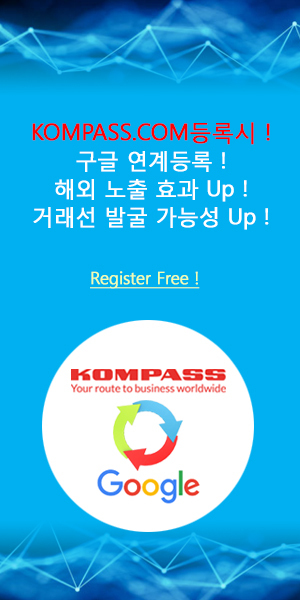 Access to important information about Food firmexpert in sector using the Kompass worldwide data base and its search options.